#SoAbsurd: Selfie Nails With ACTUAL Hair Is A Thing And WE CAN'T EVEN! When we see Katy Perry, Lady Gaga and Rihanna wearing those fancy, candy and multi-coloured nail arts in their videos and at award shows, we’re pretty inspired, but there are reasons why we still don’t try them often or prefer to use fake nails. It’s because we just don’t have that kind of time or we’re too lazy to paint those details and then clean up the whole mess it’ll create or it’s just too bizarre and can’t be pulled off every day during our everyday routines. And this new ‘selfie’ nails trend validates all those reasons. Dain Yoon, an artist, painted her nails with detailed self-portraits in different expressions for each nail which, we can’t deny, is impressive. But that’s not all, the creepy part comes now... After painting 10 nails in 10 different expressions, she has attached hair strands to the cuticle of her fingernails to make her nails look exactly like her long locks. 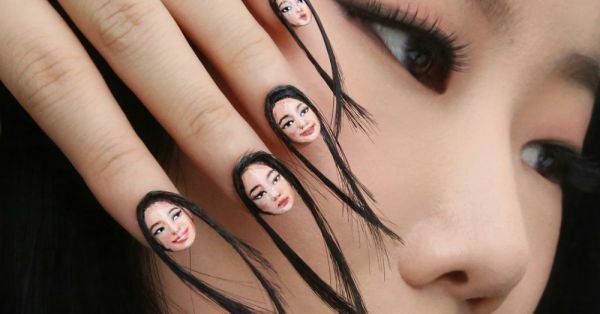 This literally is taking the portrait nail art trend to a different level. And we would not even pretend that it looks ‘wow’, as much as we love to appreciate and encourage creativity and creative minds, this, here, is an absurd sight we have. And honestly, it gets spookier as the hand moves. We seriously hope that this one doesn’t catch on or gets re-created. Real hair or not, we still can’t seem to get on board with this trend. But it’s not new for Dain, this isn’t the first time this talented artist has done something bizarre like this. 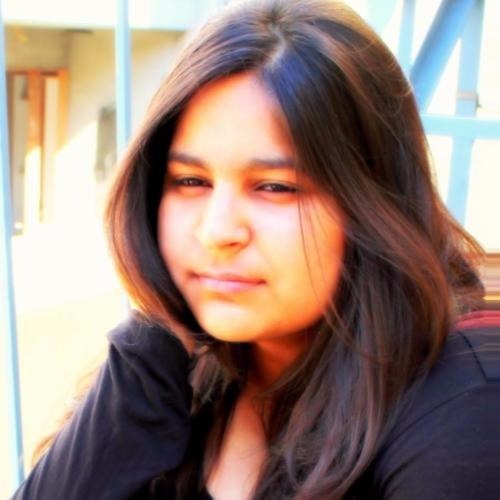 Here’s a look at some of her whacky looks that are nonetheless pretty damn impressive. While there is Dain’s experiment, there are other good-looking nail art portraits as well. You could probably get inspired by these. Want to try some nail art for your weekend party? Don’t hold back, get your tools and palettes ready. We have some great ones for you that will help you nail a killer mani in no time.